It's difficult to understand just how jeans have come to play such an important role in how we dress now but let's face it, it's extremely unlikely that there is anyone left on this planet who doesn't own a pair of jeans, and that's big. Jeans have formed the basis for so many of the key looks in fashion for so long now we kind of take them for granted but the story of denim is one born from the spirit of discovery and takes in such diverse histories as the Wild West, the birth of Rock and Roll, through the Hippy culture to Punk, Street-wear and on. In fact, you'd be hard pressed to find a clothing movement that didn't feature denim to some extent. Denim, in it's greige state (fabric before it is dyed) was originally a serge sail cloth, specifically made in Nimes in France and known as Serge de Nimes (De Nimes - Denim, geddit?). On arrival in the New World the sails would be taken down from the masts of the ships and the fabric put to use in other ways, amongst them, work wear. Once dyed dark with indigo, this work clothing would not show up dirt as much and create a more robust and reasonably water resistant surface. Trousers, made from this indigo dyed material came to be know as jeans after Genoa, (Gênes), the Italian city where this type of clothing was first manufactured in bulk. Thanks to this hard wearing quality jeans and denim jackets became the uniform of the rapidly developing United States, worn by cowboys, gold miners, railway builders, engineers and dock workers for a hundred years and then eventually adopted in the 1950's by teenagers as a statement of rebellion against the stuffy dress codes of their parent's generation. 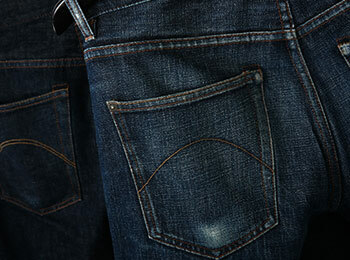 Denim was later adopted by musicians in the 50s and 60s and went on to become a staple of rock and roll style. Icons such as Elvis Presley, Marlon Brando and James Dean turned denim into a fashion statement and it became the fabric we know today. The 60s revolution introduced hippie flares, worn by the likes of George Harrison and Jefferson Air and John Lennon lived in his Wrangler 50s jacket. 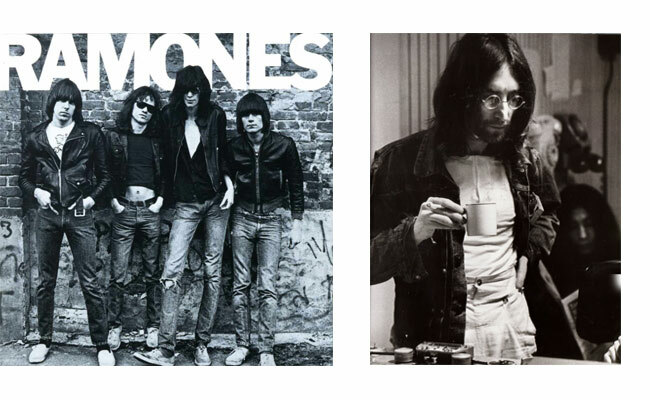 Denim revolutionised in the 70s with the punk scene, cue the Ramones in skinny black jeans and ripped knees. 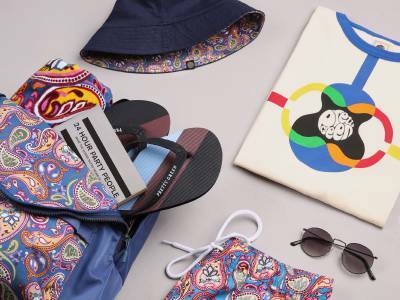 The UK Britpop scene sparked a new kind of denim jean, baggy and casual the 90s denim worn by Happy Mondays, Stone Roses and later Oasis is the inspiration for our legendary ‘LG jean’. The "LG Cut" jean from Pretty Green mixes 2% of an elasticated thread called Spandex into the weave which gives them the property of being able to stretch with the movements of the wearer making them one of the most comfortable jeans available. 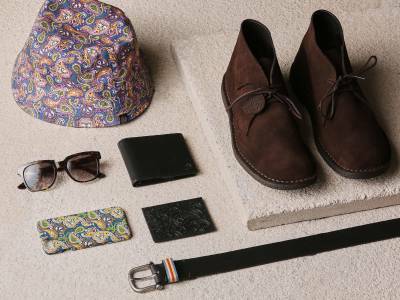 Another innovation that makes Pretty Green's jeans a cut above the rest. By the way, if you want to see something truly inspiring in the Pretty Green Denim collection take a look at the faded denim jacket. It's a faithful replica of the jacket worn by John Lennon in the 1968 production of The Rolling Stones Rock and Roll Circus. And that sir... is very cool!